Hi I am Toria from Battlefield Live Pembrokeshire. This is the 9th year of running our Battlefield business with my husband, Steve, and our 2 boys using battlefield sports equipment. 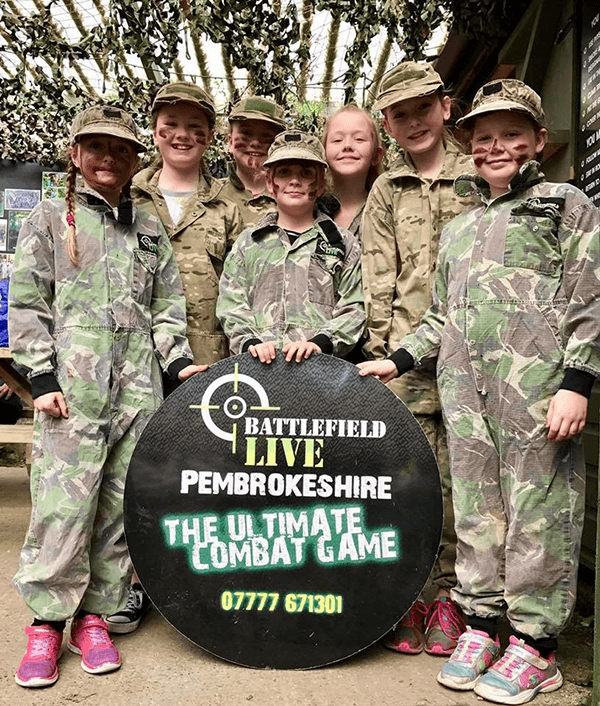 Battlefield Pembrokeshire Laser combat is an award-winning activity offering fun, excitement and adventure for the whole family. We are a tourism business that runs mainly in the holidays and at weekends. We are accredited by Visit Wales as a quality attraction and are considered as one of the UK’s leading laser combat venues. In 2016 we were one of four finalists in ‘Best Pembrokeshire Experience’ tourism award. We opened in 2009 and we have steadily built up our unique, atmospheric battlefield where your imagination will let you enter another world. We’ve always been entrepreneurs and had our own businesses. This opportunity came up, we had the land already and we thought this would be really good to invest in. We wanted to have a family business that would take the stress out of life, enable us to work outside, make a difference, allow our boys to grow up with and be a part of. 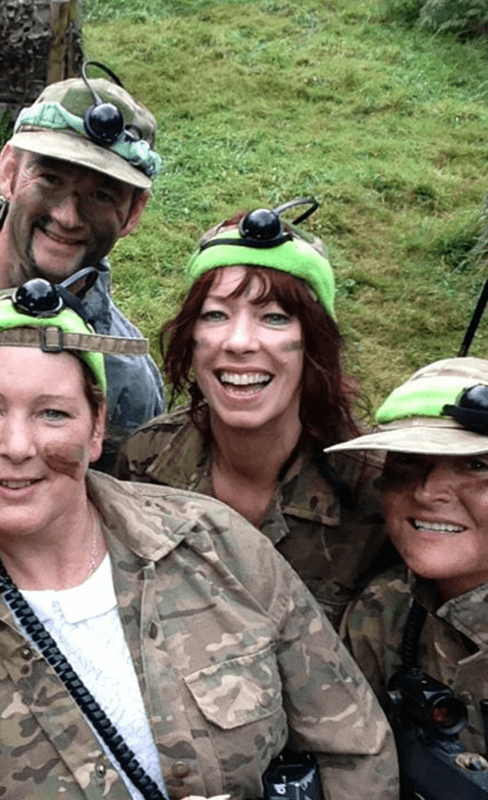 We played laser tag using battlefield sports equipment at another venue and then we were hooked, it was the idea we were looking for! So we went for it. We chose Battlefield Sports for our equipment provider because they are the best on the market. We financed the equipment ourselves. The lifestyle we have is what we wanted – hard work but freedom to be your own boss. It is so lovely to have our work on our doorstep and t’s been so good for the boys to grow up with the business. Interacting with people from all walks of life has been invaluable to them growing up. What’s really pleased me about the battlefield sports equipment is It is still going strong after 9 years! We’ve resprayed the guns but they’re still going strong! We hear how people have been to other places and they say the guns weren’t very good and kept breaking down. The durability and reliability of Battlefield Sports equipment means our customers do not get that disappointment when they play and we get peace of mind. Because we have been running for 9 years and software develops, we actually upgraded from Battlefield Sports Classic technology to Battlefield Sports SATR Technology. I would say the SATR has more of an impact for the players than classic did. I love the live feedback on the guns – when you get someone in your sights and you can take their last life and they don’t even know where you are, it’s just exciting! I prefer SATR to classic, everything just runs smoother. Controlling the stop and start of games is a really big bonus and with all the different things you can do with SATR it is just so much better. Our customers love what we do! They say THAT WAS AWESOME, they talk about the games, and nearly everyone says they didn’t expect it to be as good as that. We have won awards and word of mouth is huge for us. To be the owner of a business where our customers come up to us smiling, thanking us, I just love that. We get the same visitors back year after year. They come because of our reputation and because of the experience and we have now become part of their holiday! Lots of our customers come back at exactly the same time each year where they meet up with other players who also played at the same time and that’s really nice to see. I would recommend Battlefield Sports equipment to anyone looking to set up. David has been really supportive and I am very pleased that the Battlefield Sports equipment has delivered with our investment, especially as we funded this ourselves. Our Zombie events have been a great crowd puller, we literally have people asking us, at the end of the events whilst the games are coming to a close, when the next one is. I am pleased with the route we’ve taken,. We have a low stress job, get to work with kids, adults, schools, organisations, families. It’s a way of life for us. The equipment allows us to provide inclusive activities to children and adults who might not always have access to outdoor activities. We provide sessions regularly to the local branch of the National Autistic Society autistic where the children are engaged in a safe, fun activity and their parents can relax. We also work with schools, families, youth organisations. We never expected that market when we first started out because we are based in a tourism area and we thought it would just be tourists in the summer. However we’ve actually now got a winter trade which is birthday parties and I think that is a true testament to the quality of the sessions we provide, the experience and our wonderful staff.